Everybody, in one way or some other, encountered with terrible feedback on social networks. whether on a non-public profile, artistic or online enterprise page, every now and then it occurs that someone writes a poor touch upon your posts, photos, films, products (etc.). On occasion, it is a constructive notion that must be considered. then there are the ones abusive comments (abusive and poor aren’t the same issue), we propose that those form of comments you report and/or delete it. There are several ways to deal with negative comments and although these are mostly strategies recommended for business Pages, more than few of them you can use with your personal Profile. (certain can also be used in case of personal profiles). A few tips and pointers first. Always reply to messages or comments as soon as you are able. The sooner the better. Studies have shown that the majority of users of social networks are expecting the response during that day, with the declining interest in your response over the time. Also, do not always follow the planned responses. 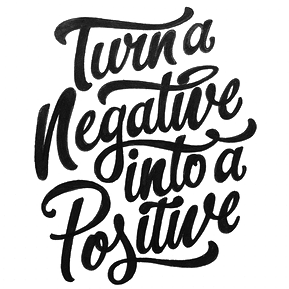 If your logo is something like ‘be positive’, do not write it on every post, and especially not on the negative ones. Step out of the set rules from time to time. It is important to know that if you belong to that 68 % who respond to negative comments, it could lead to next: 18% of people who have received a response to their complaints become loyal customers, 33% after the response write a positive feedback, and 34% delete their negative comment after the (satisfying) response. What would be a satisfying answer? Do not just write ‘We are sorry for your experience/opinion’. Ask for more information, if it is necessary. Inform user, if the problem is a lack of information. Solve it, if you are able. Answers of ‘copy/paste’ type will perhaps stop further comments from the same user, but you will not use the situation to your advantage. But what if you are not able to solve the problem in this way or a negative comment is pointless, meaningless or just mean? First of all, it should be noted that – negative comments by no means should be understood as a personal attack, but more like an opinion contrary to yours. If the comment is meaningless, you can simply ignore it, especially if the other users, in response, write positive comments. In just a few minutes, something else will be hot on your Page. If a negative comment is repeated or comes from several sources, be sure to ‘ignore but monitor’. Of course, if the situation from point 3 continues, you can always delete the comment and ban/block commentators. The Internet is not a big happy family and you are not obligated to listen to the people who are arguing with you. But even this can culminate. If the disagreement becomes dispute with threats, profanity or a deliberate attack on your work or personality, remember that at your disposal are legal means. Everyone must stand behind their claims, and yes, even on the internet. There are several popular examples when the company, own, adopt and roll back negative comments to their advantage. Of course, this is not possible with every comment and requires a specific situation when negativity can turn into fun, something comical and interesting, which will bring you, new customers. The best answer when it comes to false or stupid comments. Challenge that user, give or defend your opinions, while, thanks to the knowledge and information, provoking the attacker. Be a strong leader of your business. In some points, small businesses somehow hire a company (Call Center) that perfectly suits and able to stand on your behalf. These tactics usually unnoticeable simply because they would act and post like you. Depending on your situation, business, habits, and affinities, select the strategy that best suits you or comes up with your own, but remember, not all of them are applicable everywhere, and that there are far more ways of coping with the negative comments, we only highlighted the most frequently used tactics. Source: How To Respond To A Negative Comments On Social Media?